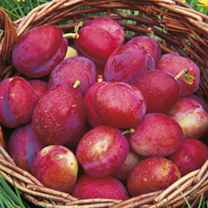 If you’re looking for high-quality plum trees, you won’t be disappointed with the exceptional range here at Dobies of Devon. 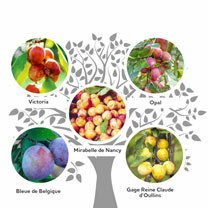 All of our trees are grafted on St Julien A rootstock, which is semi-dwarfing. 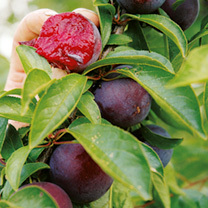 As a result, it provides medium-size trees of around 2 to 2.5 metres. 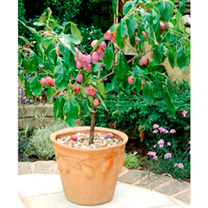 We’re dedicated to bringing you the finest quality seeds, plants and trees, so you can shop with confidence with Dobies of Devon. 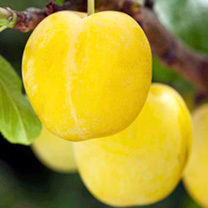 Whether you’re looking for Beauty, Victoria or Yellow Pershore plums, you’ll find it all in our range of plum trees for sale. Place your order now! Waiting on an order? Check out our dispatch schedule.